Cameron dropped that sumptuous quote during a culture and technology event in Australia called Vivid (via VFXBlog), and while he was there he talked a bit about the current status of 3D. 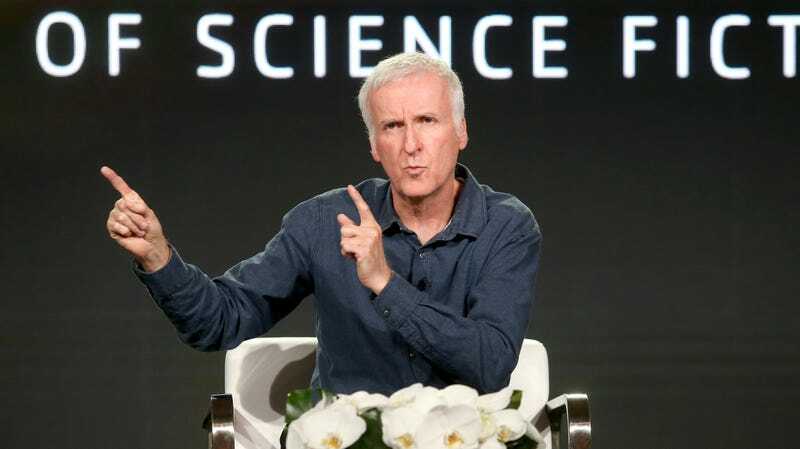 He notes that the technology that makes movies like Avatar possible is now “ubiquitous,” which makes it “not remarkable,” so even though there are 70,000 3D-capable theaters in the world instead of the 3,000 that existed when Avatar came out, the technology no longer seems special. He also pins some of the blame for that on Hollywood, which made a habit of shoehorning 3D onto non-3D movies with post-conversion, leaving audiences disappointed by half-assed effects and giving 3D a bad name. Cameron goes on to say that he hopes people eventually get sick of reaching toward 4K resolution, because production technology has “basically stalled” over the last three or four years and isn’t in place yet for “the next big thing.” Naturally, he wants that to be real 3D that you don’t need special glasses for, saying that technology for “good 3D” is in the works but that it will only happen if people can be convinced to want it. He’s hoping Avatar 2 is sumptuous enough to make the case for 3D, but if not, at least Avatar 3, Avatar 4, and Avatar 5 will all have some cool effects. Wow, the Recommended Stories are coming right at you!